In the upcoming story of Star Plus popular show Ishqbaaz loyal viewers will get to witness shocking twist with Anika’s new mission to restore old Shivaay Singh Oberoi . It seems Shivaay (Nakuul Mehta) is completely broken with Omkara Rudra Dadi Jhanvi and Priyanka’s hatred. Shivaay thus sleeps on ground where he gets wild dreams about his family members and he also tries to explain them that he is not guilty. Anika (Surbhi Chandna) hears Shivaay in pain and tries to console him. Angry Shivaay (Nakuul Mehta) dusts off Anika where Anika ends up getting hurt. Shivaay feels bad seeing his state where Anika (Surbhi Chandna) too feels bad seeing Shivaay’s state. 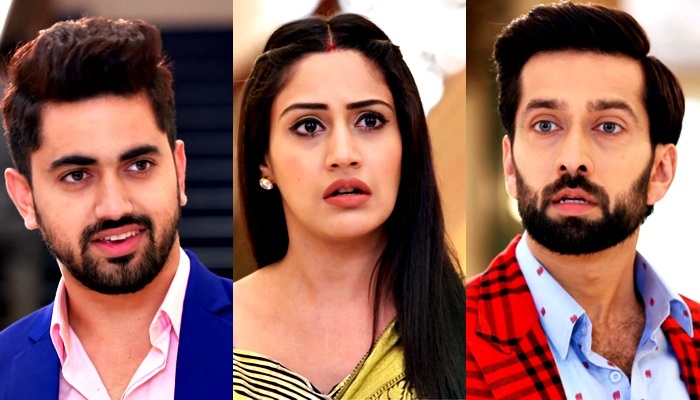 Anika thus gets determined to restore Shivaay’s old avatar.